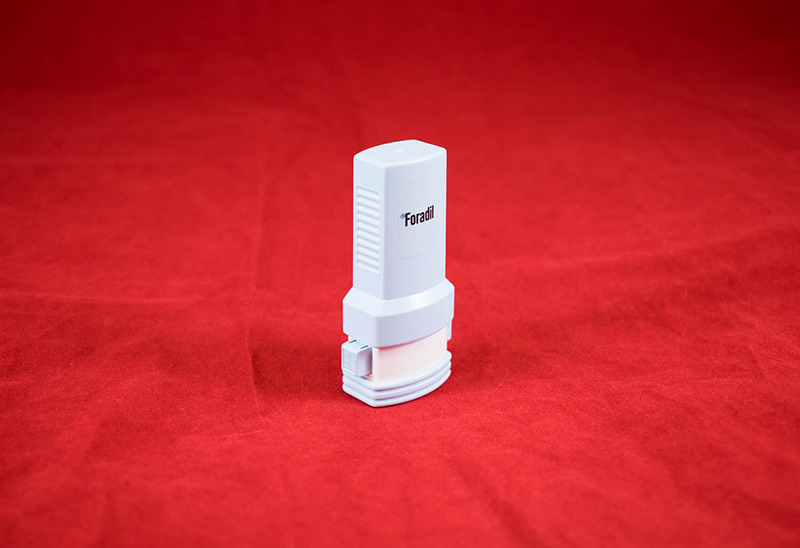 "Aerolizer" type inhaler for use with Foradil (eformoterol) capsules. The buttons on the side are used to pierce the capsule inside the chamber. 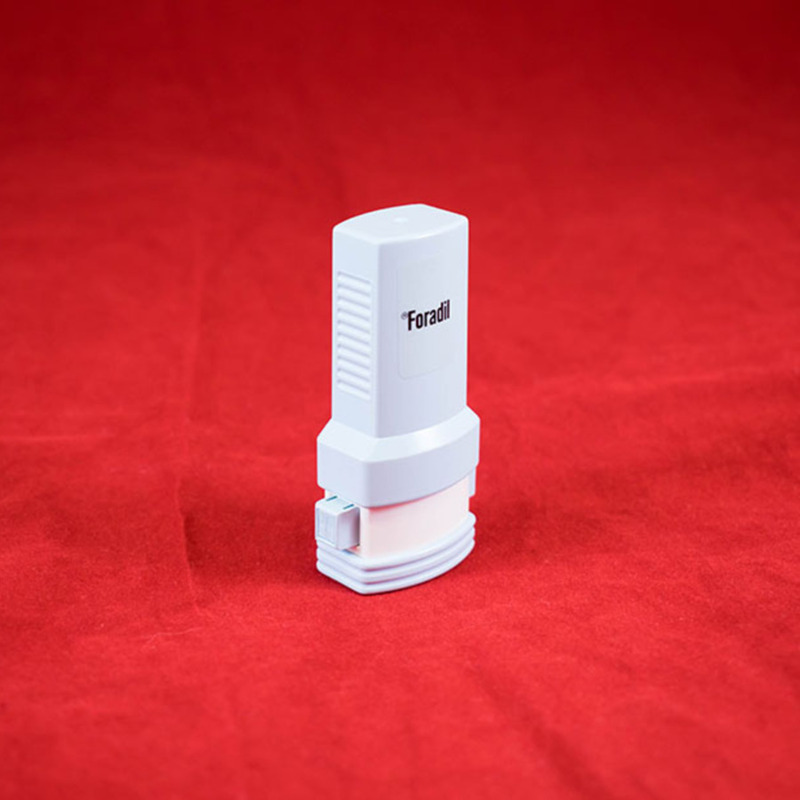 Novartis International AG; 1996-; Pharmaceutical company, “Foradil Aerolizer,” Heritage, accessed April 20, 2019, https://heritage.rcpsg.ac.uk/items/show/1035. 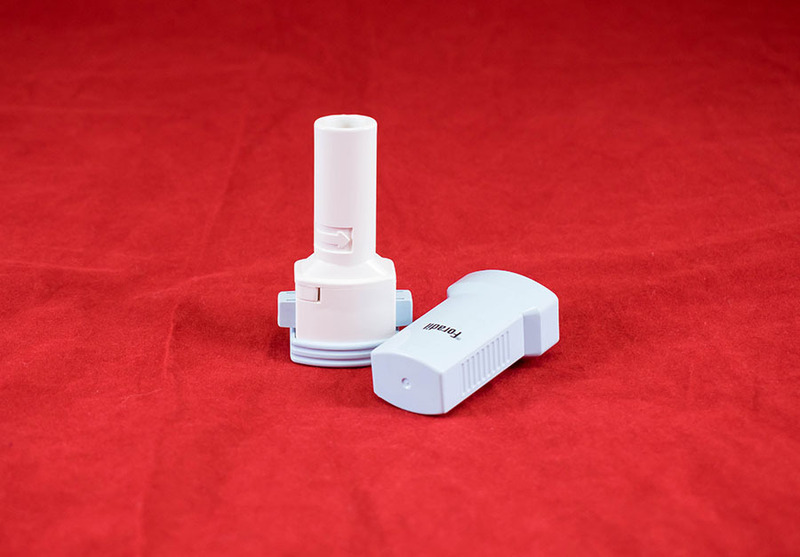 Description: "Aerolizer" type inhaler for use with Foradil (eformoterol) capsules. 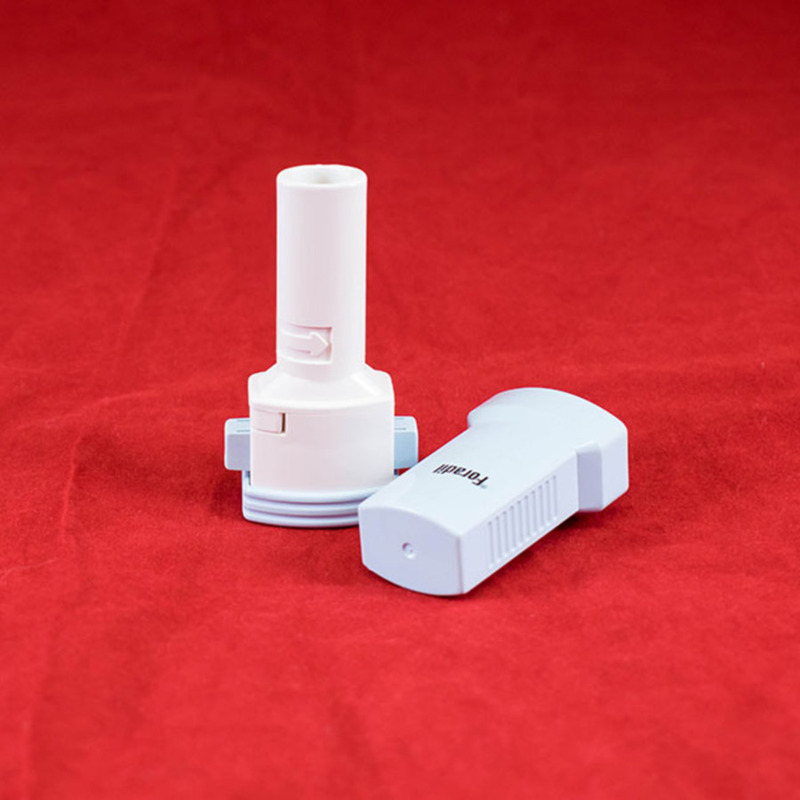 The buttons on the side are used to pierce the capsule inside the chamber.